A. Short Answer: You will need to go through the checkout process so the shopping cart system can calculate your shipping based on the items in your cart and your shipping address - this is also true for International orders. Long Answer: Ground delivery is for business addresses. Home Delivery is for residential deliveries (including home offices). Express options also available. Once you are at the checkout screen, you may put your address(s) in the appropriate fields, and then click continue at the bottom of the screen. The shipping calculator must have your address and items in the cart in order to accurately calculate the shipping cost. If you already have created an account previously, once at the checkout screen you may log in and the bill to / ship to fields will automatically fill in. After you have selected the continue icon at the bottom of the checkout screen, the next screen will prompt you to select a shipping option. The SHIP VIA pull down menu will show you the cost of various options based on your address (US and International). Q. How does the shopping cart work? How do I make a purchase? A. Select ADD TO CART button on each item you would like to purchase. You can continue to shop additional items the same way. At any time, you may check the status of your shopping cart by selecting the view cart option at the top of the site screen. Here you can remove or change quantities for any of the items in your cart. When you have finished shopping, click on the checkout option (also in the orange bar at the top of the screen). The checkout screen starts the secure checkout process. You can verify security by pointing to the security logo. A. Yes! Just fax your completed purchase order to 919-362-3784. Include the ship to address, bill to address, contact name, phone, email and any special instructions. We will confirm receipt, and ship your order once your account has been established (usually within 1 or 2 business days). Please do not fax credit card numbers, no fax phone is secure. We will assemble and email a link to an invoice for your order you can pay via credit card securely. A. Yes and No: You may use our toll free number- 866-697-7334 Monday through Friday, 9am to 5pm eastern standard time. Please be advised, manually processing orders takes extra time. We no longer accept credit card numbers via phone - it is not secure and if anyone tells you it is, they are not being truthful. We will email you a link to a secure invoice you pay online. This all takes extra time and delays the shipment so if you want something quick, online via the website is the best way. The online shopping cart is quite efficient and has security. We have a seamless process for processing orders that come through the cart. Typically we are able to ship online orders within 24 hours of receipt (sometimes the same day)! Phone orders are processed manually, and may take 2-3 days to ship. Of course, if you place your order via phone with overnight shipping directions, we do our best to get your order shipped right away. FedEx Ground business days are Monday through Friday (excluding holidays). FedEx Home Delivery business days are Tuesday through Saturday (excluding holidays). Example: A package shipped via FedEx Ground on Monday with a transit schedule of 2 business days, (not including the day the package is shipped) would be expected for delivery on Wednesday. A package shipped via Ground on Friday with a 2-day transit schedule would be expected for delivery the following Tuesday. A. Yes, we do offer wholesale discounts. Like most wholesalers, discounts are based on volume orders. If you are a safety equipment distributor or other type of retailer and would like to place a volume order ($1000 or more) please click on the "contact us" link at the bottom of any page of our website and let us know, we'll be happy to call you and fill you in on the details or leave your fax number and we will fax you back an application within one to two days. A. Yes! 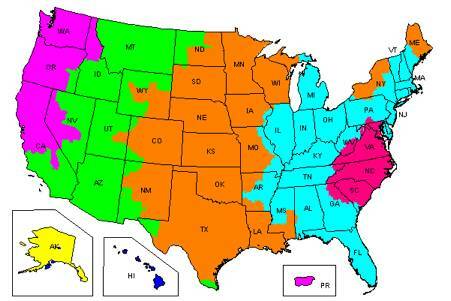 In general, we ship to most military addresses via USPS Priority Mail (APO/FPO). It will have tracking, but depending on the destination it may not be trackable. A. Yes! Please note: all funds shown on this website are US Dollars (your credit card statement dollar amount may vary since credit cards apply an exchange rate - this is not something we control). We ship via US Postal Service, to most international destinations. You will see your shipping options once you place your items in the cart, and start to go through the checkout process. After entering your bill to and ship to addresses, the next screen should show you your options (USPS Priority International, and USPS Express International). All prices on the website are in US Dollars. We accept most credit cards as well as Paypal for international payments. Q. Does all of the safety equipment meet international standards?? A. No! All of the safety equipment offered meets US standards (ANSI, for example) as specified in each item description. Safety standards for equipment manufacturing vary from country to country. Each country has different standards and different organizations promoting these standards so it would be impossible for everything to meet standards for every country. Some equipment is tested to meet other standards and if that is the case, the item description states exactly what standards the product meets. If the item description does not mention your country standards it is because the manufacturer does not certify it for other countries. The item description will state what certifications it meets per the manufacturer statements. Q. Does Charm and Hammer manufacture the equipment? A. No! We are not manufacturers. There are many manufacturers already making exceptional quality safety gear for women. Charm and Hammer provides access to these products worldwide. We stock everything we sell! Q. Which organizations do you offer discounts to? A. 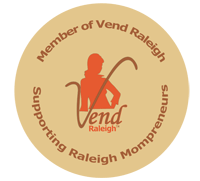 In general, we offer discounts to organizations that provide educational opportunities to women and students. We have contacted many trade organizations but are not always successful in getting them to take advantage of our discount program! If you are involved in an organization that provides education and or training for women or students, and would like us to set up a discount (it is free of course! ), please send us a message using the contact us page or send us a request via mail, and a brochure about the organization and its educational programs offered! We will contact you to let you know the code once it is established.